The ZSCAN16PROXR_USB is equipped with firmware built into the board that will allow you to monitor contact closure inputs using a computer. The ZSCAN16PROXR_USB uses a USB interface that will mount as a COM port on your computer. The ZSCAN16PROXR_USB is the ideal choice for monitoring contact closure inputs and triggering relays based on the data from the inputs. The ZSCAN16PROXR_USB can be expanded to accommodate up to 256 inputs and up to 256 relays can be added to the board as your needs grow. With this Scan Series Controller you can monitor Contact Closure Inputs using a computer. With minimal programming, data collection and control from a single controller allows any computer to talk this device connected to the USB port on a PC. The SCAN Series command set allows you to read anywhere from 1 to 32 banks of 8 inputs in a single query. A single bank contains 8 inputs. Reading 32 banks will report the status of 256 inputs. It doesn't stop there, because we are focused on relay control you can add relays to the board (up to 256) and control them using the data collected from the inputs. Remember these are contact closure inputs ONLY no voltage can be applied to these inputs. Simply connect to your computer and this board mounts as a Virtual COM Port on your PC, allowing easy programming from any language that supports serial communications. This ProXR series controller connects to the USB port of your computer and will mount as a COM port on your PC. USB Drivers will most likely be needed and can be found in the resources section to the right and will also be available in the Base Station Software. Once powered up, the controller waits for a command. A command consists of a few bytes of data in numerical format usually between 2 and 6 bytes. Once the command has been received, the controller processes the command, and sends you back ASCII character code 85 to signal the completion of your command. 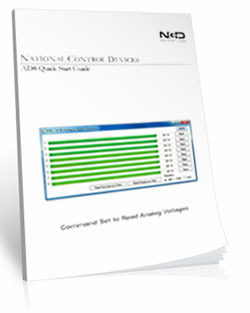 The NCD Component Library is a plug-in for the Visual Studio 2005/2008 that greatly simplifies the communications to the NCD product line. The samples can be run in Visual Studio and fully customizable to your needs. Over 40 samples included with this free download! Component Library. We've looked at the interface and the programming now let's take a look at the board design itself. The ProXR series ZSCAN controllers are manufactured by hand for a highly accurate and reliable design. Equipped with the XR Expansion Port relays can be easily added. Fully tested before they leave the production facility each ZSCAN controller is ready to stand up to rigorous demands from heat, cold or vibration. The best test of all is the numerous boards in the field from customers all over the world in all sorts of conditions. Take it from us, these controllers will hold up! The XR Expansion Port is available for adding relays to the board. Relay expansion boards can be added up to a total of 256 relays. The Expansion Boards get their logic from the main board and will require 12 VDC power. While the XR Expansion port adds relays to the board the UXP Expansion adds addition contact closure inputs to the board. The ZSCAN series controllers are expandable up to 256 total inputs. The controller is fitted with an UXP Expansion Port where you can add contact closure expansion boards to this relay. Expansion boards can be added until you reach 256 total inputs. The Expansion Boards get their logic from the main board and will require 12 VDC power. This board has ProXR Firmware installed that responds to the full ProXR Command Set. The ProXR Firmware is the industry leading firmware for controlling relays with more commands and functionality than any other board on the market. The list of commands and parameters this board is capable of is extensive. ProXR Enhanced is the newly released enhanced version of the ProXR Firmware with more commands, more functionality and better control than ever before! 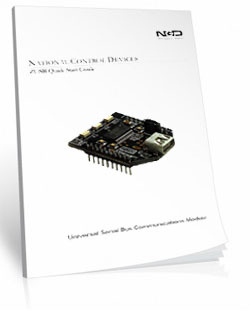 For a detailed list of all the commands with descriptions see our ProXR Enhanced Command Set. The boards sold are brand new units shipped from our office conveniently located in Missouri. These boards are completely tested before they are released for shipping With so many boards on our site it is impossible to stock boards, please allow two to three days production time for your order to ship. Contact Closure Monitoring Is Here! Order the N-Button Lite with this controller and get it for the unbelievable discounted price of just $29.00!